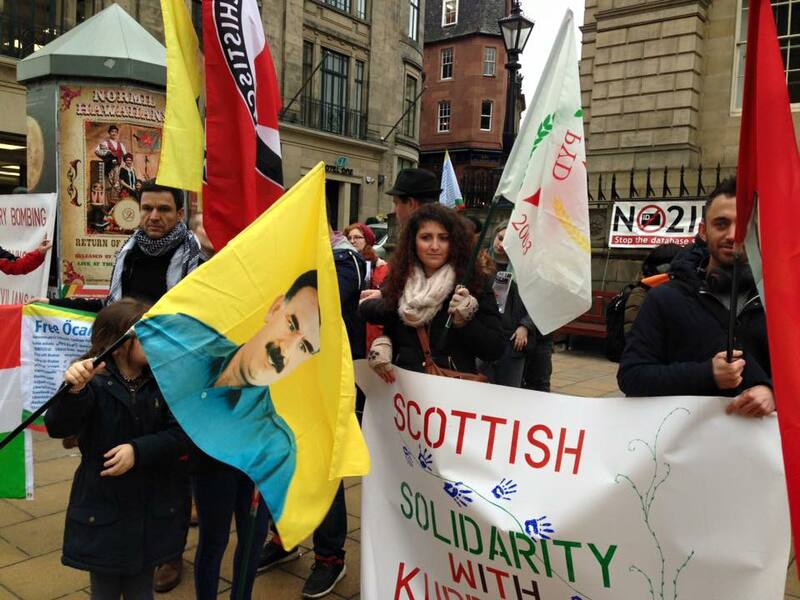 This weekend Scottish Solidarity with Kurdistan held a demonstration in central Edinburgh to protest continuing attacks by the Turkish military on Kurdish cities and civilians. 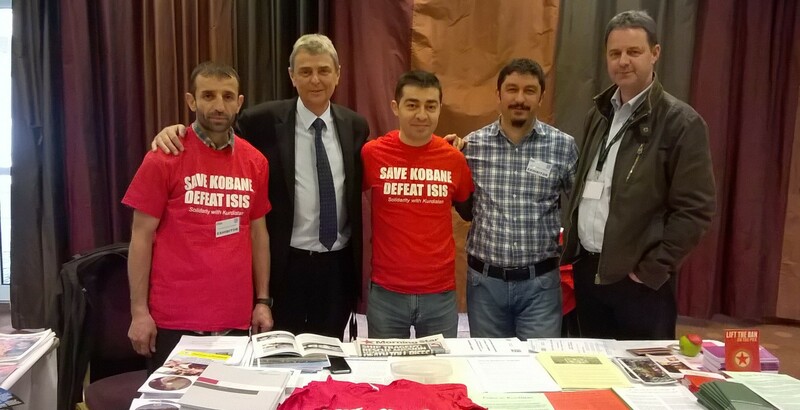 Thank you to everyone who took part in the Global Rally for Kobane on 1st November – now World Kobane Day. 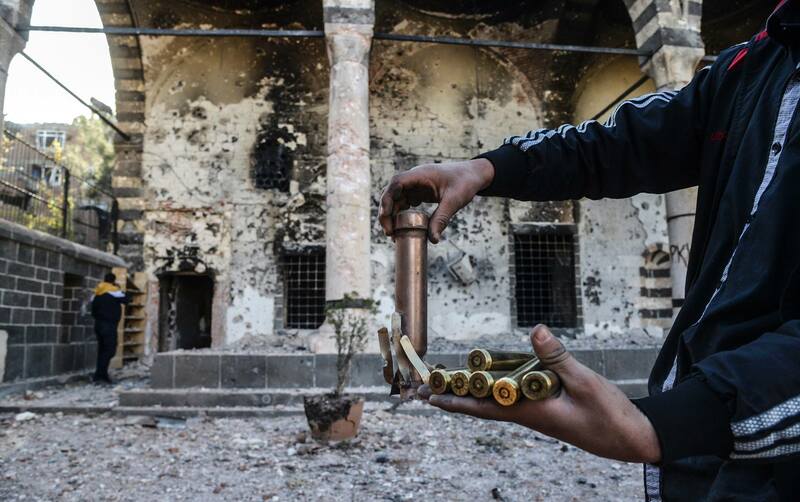 It is the second year in a row that thousands of people in dozens of countries have raised their voices for Kobane, which still suffers the consequences of a brutal 6 month ISIS siege which caught the conscience of many across the world. 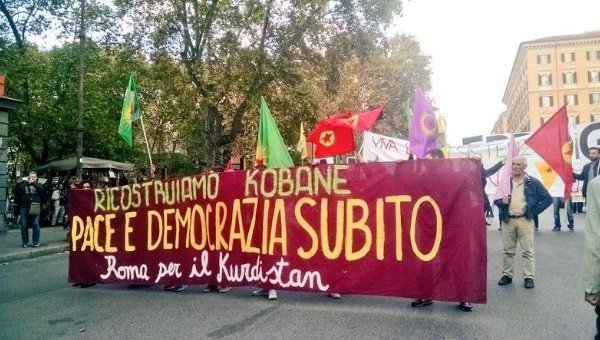 This time, over 400 separate actions took place in over 25 countries as far apart as India and Brazil, Denmark and Australia, Venezuela and Afghanistan, all calling for people and governments to support the reconstruction of Kobane and the lifting of the blockade. Demonstrations also took place in Rojava. Once again, it was a remarkable demonstration of solidarity and the spirit of internationalism. 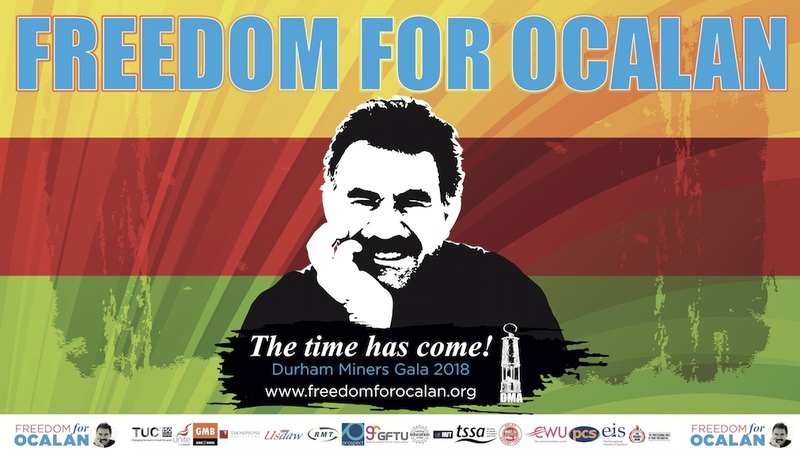 We send our thanks and solidarity to all those who took part and hope that collective efforts will lead to freedom and a new future for Kobane – and Rojava. at news of your victory in the Labour leadership contest. Your election will be greeted with enthusiasm as excellent news by all who believe in a better world. The Kurdish people, who are proud to count you as a friend, certainly share in the celebrations of your election victory. This successful result is a real tribute to your tireless campaigning for social justice and the rights of peoples at home and abroad. 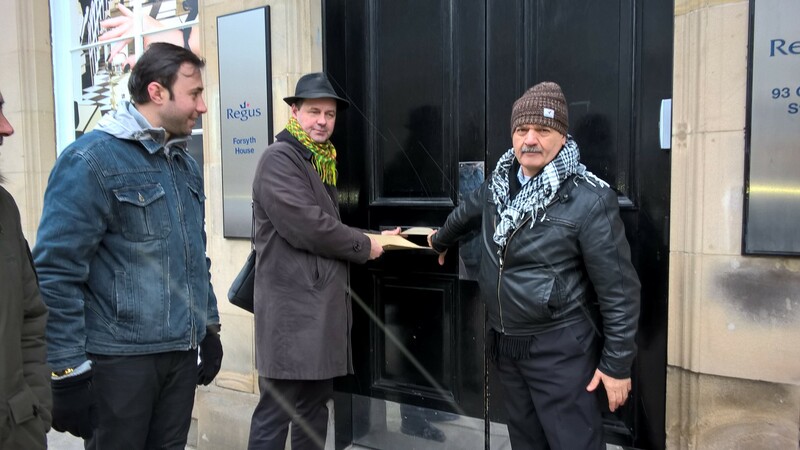 We take the opportunity to pay tribute to you for your staunch and consistent support in Parliament and your solidarity with the Kurdish community in London. 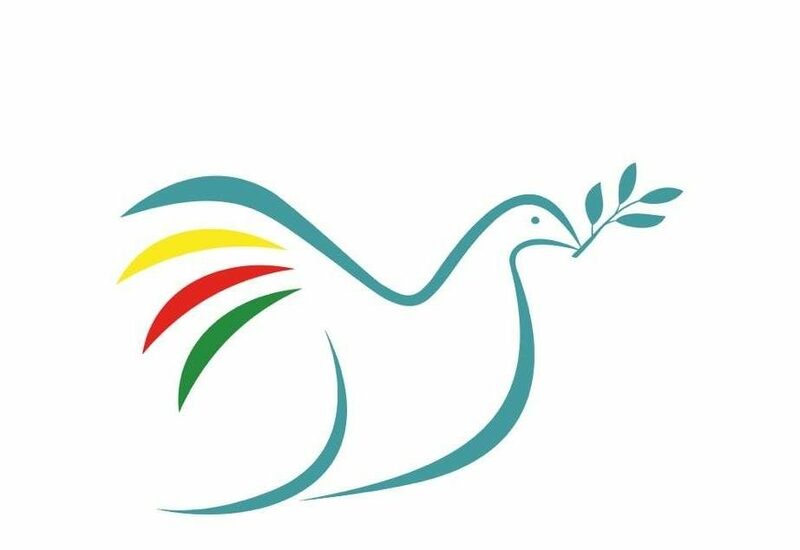 We wish to thank you for all your support over the years for our campaigns on behalf of the Kurds and in particular for the peace process in Turkey which seeks to resolve the conflict in that country. We would like to wish you well in your new role as you lead your party onto electoral success in coming months and years. Peace in Kurdistan looks forward to working with you in the future as Labour’s new leader. We would like to draw your attention to an urgent appeal for funds from a project which was developed by the official Kobanê Reconstruction Board. The motion below was recently passed at the STUC conference in Ayr. 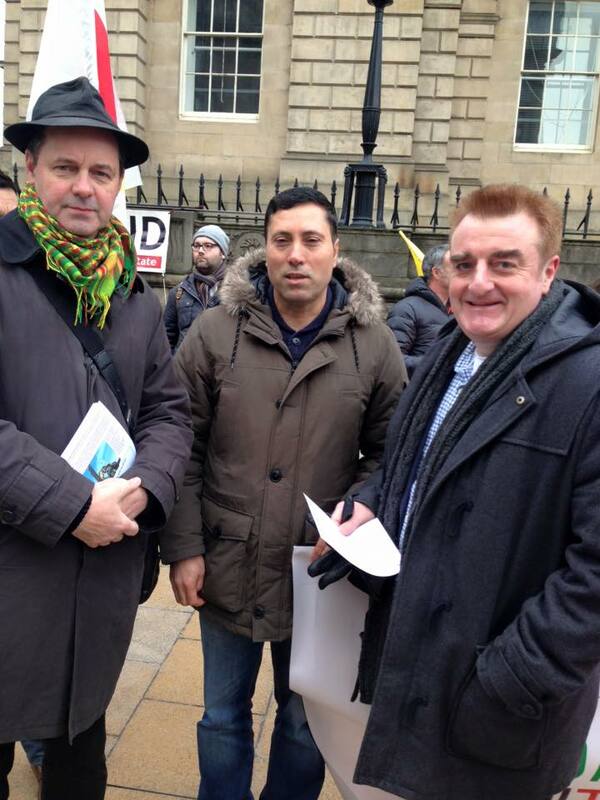 Kurdish activists and Peace in Kurdistan Campaign’s Trade Union Liaison Officer Stephen Smellie (UNISON) were at the event for three days, where they met with union activists including Dave Parentis, general secretary of UNISON. “That this Congress expresses its concern at the events in Syria, resulting in thousands of deaths resulting in thousands of deaths and that conflict and the rise of ISIS has created a humanitarian crisis in the region and that millions of refugees have been displaced and some are now surviving with the assistance of local authorities, trade unions and volunteers, often without international aid. That assemblies and popular militias have been formed, regime property turned over to worker co-operatives and all despite continual attacks by ISS forces.